No. 1 Recruit James Wiseman Commits To Memphis; What's Next For Kentucky? 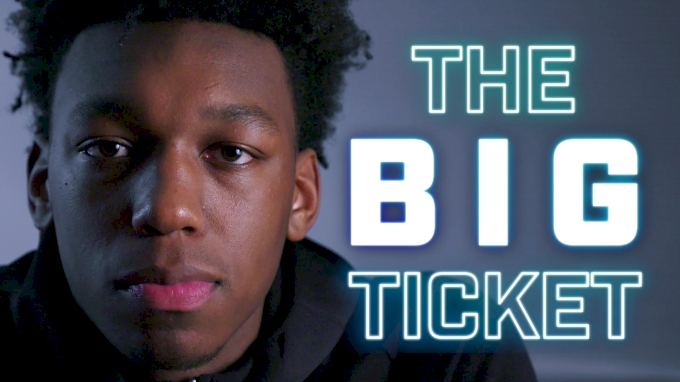 James Wiseman, the No. 1 high school basketball recruit in the country, announced his commitment to Memphis on Tuesday afternoon on ESPN. The 7-foot left-handed big man chose Penny Hardaway and the hometown Tigers over Florida State, Kansas, Kentucky, and Vanderbilt. Wiseman is the projected No. 1 overall pick in the 2020 NBA Draft, per ESPN. "After long thoughtful consideration, I will be attending the University of.....Memphis," he said as he pulled out a toy white unicorn with a Memphis logo on it. Catch Wiseman live on FloHoops at the 2018 Chick-fil-A Classic! FloHoops.com reported earlier this month that the Memphis staff had already told some boosters it was "done." Wiseman averaged 17 points and 9 rebound as a junior at Memphis East while playing for Hardaway. “Wiseman dominates at both ends of the floor,” said Paul Biancardi, ESPN national recruiting director. “The combination of his physical measurables, finishing ability and shot block talent make him the No. 1 recruit in the country. Not only will he bring a tremendous amount of talent to the school he chooses but also a consistent effort and an extremely coachable attitude." Ernie Kuyper coached Wiseman this past summer in Las Vegas and Los Angeles on a Hoop City team that also included top recruits Trendon Watford (uncommitted), Chandler Lawson (Oregon), and Kira Lewis (Alabama). "I think he's Chris Bosh — that type of player," Kuyper said of Wiseman. "Defensively, he can change the whole game," Kuyper added. "That's where I think he can change the whole game defensively, he can take the whole paint away." Wiseman is the sixth former Team Penny player to commit to Hardaway since the former Memphis star took the reigns at his alma mater. That group includes class of 2019 small forward D.J. Jeffries (a former Kentucky pledge) and class of 2019 power forward Malcolm Dandridge. Wiseman's decision is the latest tough blow for a Kentucky team that is in desperate need of bigs in the class of 2019. With Reid Travis set to graduate, and sophomores Nick Richards and P.J. Washington likely headed to the pros, John Calipari's club has been casting about for big men. But Wiseman picked Memphis and Vernon Carey Jr. of NSU University School (FL) will announce his top three on Wednesday, and sources said Kentucky is not expected to make the final three, with Duke, Michigan State, and North Carolina the expected picks. Kentucky had also recruited Zeke Nnaji of Minnesota, but he did not include them on his list of final five. Nnaji will announce Friday between North Carolina, Kansas, Arizona, UCLA, Baylor, and Purdue. The Wildcats remain in the mix for Isaiah Stewart and Jaden McDaniels, but have stiff competition. Stewart is also considering Duke, Syracuse, Michigan State, Washington, Indiana, and Villanova, and will visit Duke this coming weekend. McDaniels is considered a San Diego State lean and has now taken officials to UCLA, San Diego State, Washington, Texas, and Kentucky. Kentucky may have to turn up some gems during the spring to fill out their frontcourt. Calipari concluded with a fairly remarkable statement about his own recruiting abilities.